Your Akismet account has two different email addresses: your account email address and your billing email address. To change your account email please visit your WordPress.com settings page. At the top you will see a box where you can change your email address. After you change your email address remember to press the “Save Changes” button at the bottom of the page. The change will not become active right away. You will first need to confirm the change by clicking on the confirmation link in an email that will be sent to your new email address. 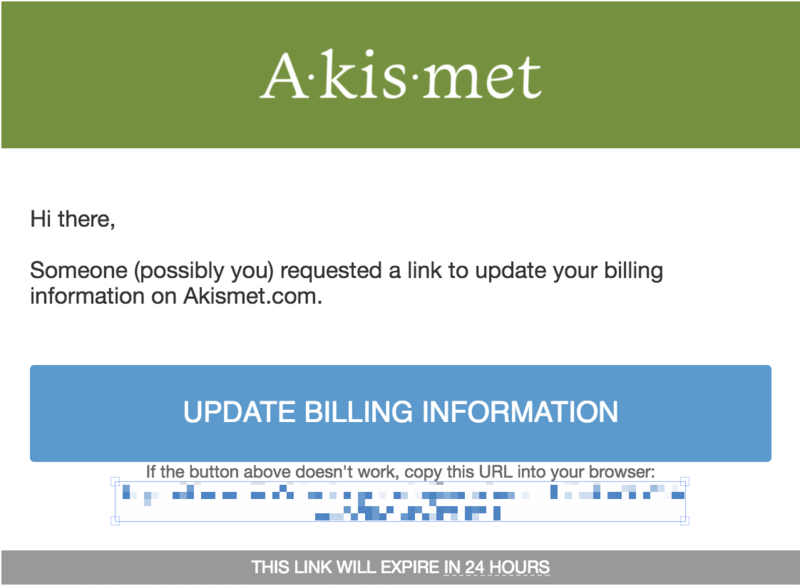 Click on “Update Billing Information.” You will be able to update your Akismet plan’s billing contact information and payment details on that page. If you no longer have access to the billing email address, please contact us.